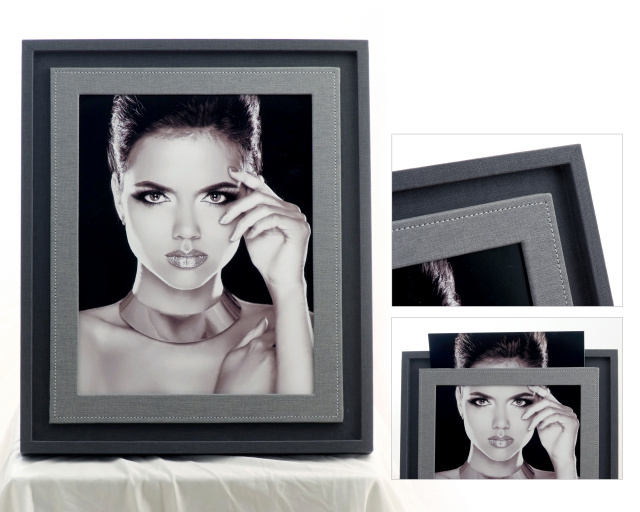 Give your print the contemporary look of being mounted in a 3 dimensional frame. But mount it yourself with this easy slip in frame. Rich soft touch fabric and custom stitching dress it up that much more. Available in three sizes. 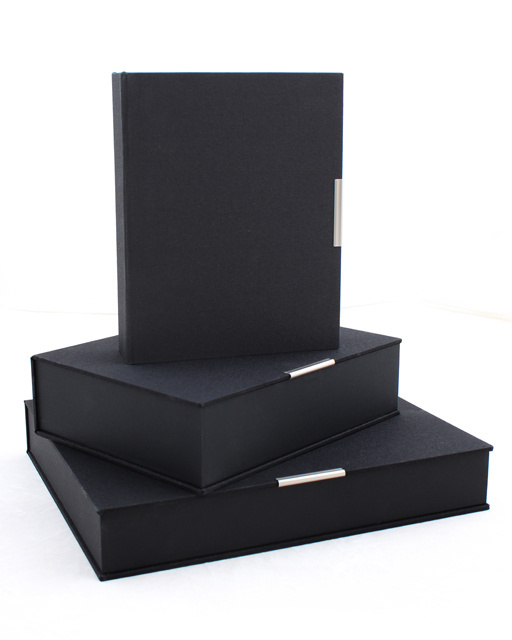 Unsurpassed hand made quality makes this display box an instant hit. It is available to hold 8x10's or 5x7's. The case comes with 5 mats included. 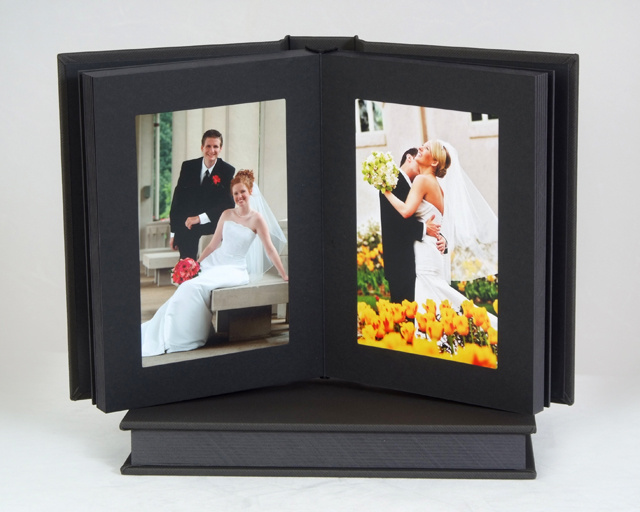 This black presentation box is made to fit our Artisan Slip-in Album but can also be used for matted prints or keepsakes. Made with sturdy 3/16 inch walls and wrapped in beautiful black fabric. The magnetic closure keeps items in place and includes a ribbon inside to remove product. 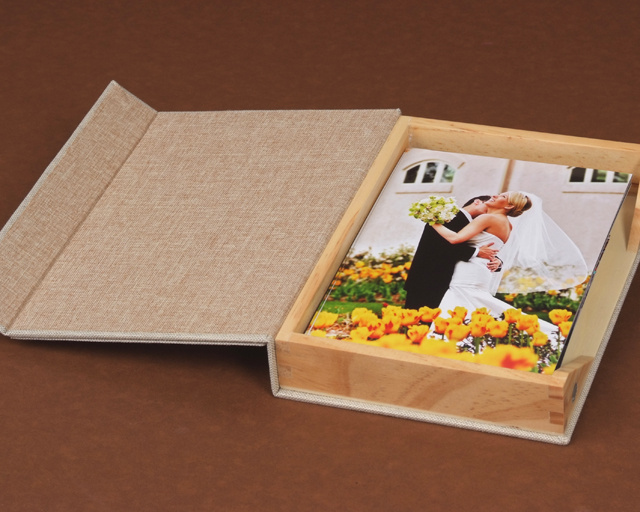 Our popular Artisan Album is now offered in an 8x10 size and a new color. 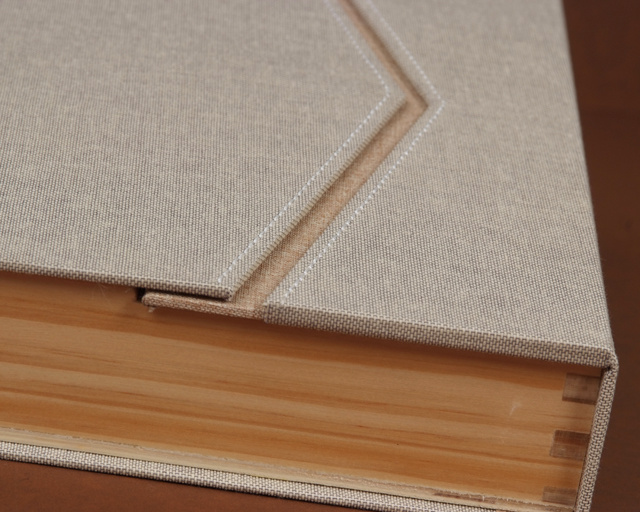 Choose from a light gray cover with white pages or a dark charcoal cover with black pages. The Hermosa is our newest designer album.The fact that this album is repositionable makes it impossible to mess it up. A stylish wood box with a natural fiber outer wrapping. 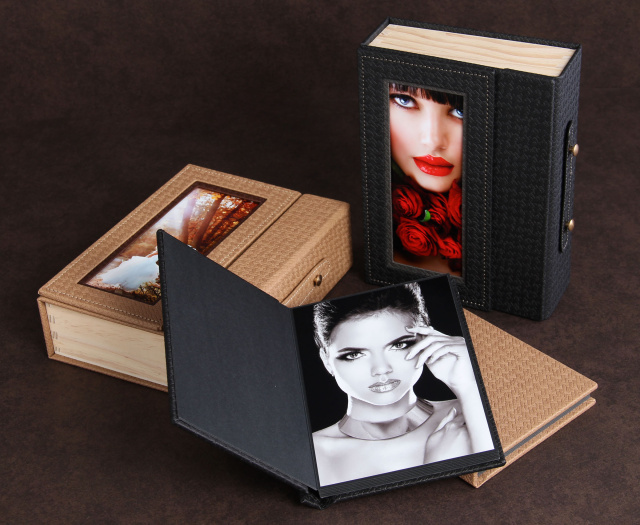 Great for matted prints or albums. A stylish wood box with a natural fiber outer wrapping. Available for 4x6 or 5x7 prints and two different depths to hold 125 prints or 200 prints. Click on the photos for pricing and more images of the product. If you have any questions on our new product, please call us at 636-970-0540 or email us at info@midwestphotographic.com.